You are here: Home / Photography / My Photo was Shared by National Geographic Expeditions! I’m not big into instagram, but I am big into travel and photography. I happened to open up the instagram app today and saw that I had some new followers…. 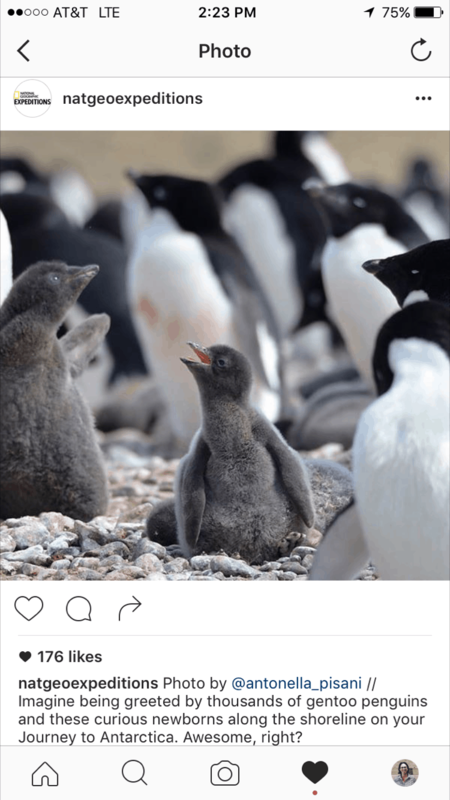 So, it turns out that National Geographic Expeditions shared out one of my photos from the Antarctica trip earlier this year on their instagram feed. Pretty flattering and hopefully the first of many to come.